We have always loved eating Kosha Mangsho (Bengali Mutton Curry). Sunday meal was special as it was all part of a routine to cook kosha mangsho in our paternal home. During our growing up years, especially during summer vacation, we would go to visit our paternal homeland. Whole house would start bustling with laughter and contentment of togetherness. We would be playing with our cousins and our fathers and uncles and aunties would end up chatting with each other or on rare occasion cooking Kosha Mangsho all together. 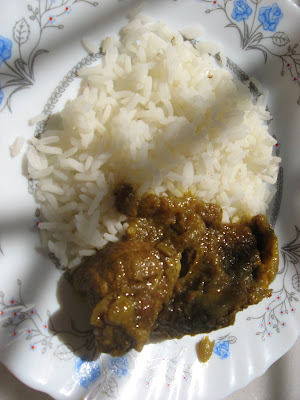 Making mutton curry/kosha mangsho was one thing when male members in our joint family would find it a way to showcase ones culinary skills and even giving directions to the ladies of the home .Sometimes often giving lectures on the correct amount of spices and onions or ginger or garlic. After all the big hotels have male chef not female chef. Isn’t? Perhaps that’s why females in our home-Ma, Kakima and Thakuma would then used to ask our all kakus and Baba (My father is the eldest of all brothers) to help out in making Kosha mangsho. We would then gather round our mother and kakimas to help them out in peeling, chopping, cutting, marinating but not frying the mutton. There were no short- cuts for Freshly Prepared masala paste on Sheel Nora ( a type of Mortar/ Pestle -Sheel nora – grinding stone flab of about 16 inches * 10 inches , and a stone roller of 9 inches, roller is slide into time to time to make a smooth paste of masala over Sheel/Stone flab). Making Kasha Mangsho, includes grinding onion, garlic and ginger into a smooth paste over Sheel Nora and then deep frying mutton in Kadai or Dekchi at med till the oil separates out, stirring in between and cooking it in at low like a slow pot cooker .Everything used to be slow and smooth, and the taste incomparable, probably there is no substitute for Hard work and the end result smooth gravy and juicy mutton pieces cooked to perfect with spices. One bite and the taste burst into the mouth, whole lot of chemical reactions and salivations makes the dish so relish. Recipe below is my vague captivation of the vivid memories that I have on my part while growing up. And I would say I have seen my Ma-in-law making Kosha mangsho this way. Adding potatoes as some of you would say is not part of making Kosha mangsho, but this is how I have seen my Baap’er Bari (Paternal Side) and my Shoshur Bari ( In-laws Side) making Kosha Mangsho. With the invention of pressure cooker and Mixer grinder , things becomes far easy for us .This recipe is little bit short and time saving as mutton is being cooked in Pressure cooker after deep frying it in kadai , but the originality of taste still is maintained . Fisrt make a smooth paste of Garlic and Ginger by grinding in Mixer , add little bit of water also.Do the same with onions . Marinate the mutton with Turmeric powder ,salt ,Coriander powder, Red pepper powder , Yogurt and 1-2 tbs of mustard oil and the garlic /ginger paste and half of the onion paste .Let it sit there for 1-2 hrs.It could be even great, if this marination is done overnight. Heat up a kadai/ heavy bottom Pan ,add 1-2 tbs of mustard oil and fry the potatoes till brown on every side .Take out and keep aside . Add rest of mustard oil and temper it with Black pepper, Cinnamon stick,Bay leaf , whole Cardamom ,Cloves and sugar .Caramelization Of sugar gives a nice Red color to the Mutton gravy .Fry at low for 1 mints . Add the rest of the onion paste, and fry for 3-4 mints till the rawness of the onions is gone. Add the marinated mutton at this point , Stir/fry at medium to low flame for 15-25 mints, TIP-.If the oil comes out by the side of kadai , Mutton is fried well .If the mutton is "Kochi mangsho" it may take few minutes less to fry it. Transfer the entire fried mutton to Pressure Cooker, add 1tsp of garam masala at this point, one whistle at high and then lower the flame and cook for about 15-17 mints . Alternately you can cook the entire thing in a deep bottom pan or kadhai at low for 1hrs and make sure it's covered,the gravy will be very dry or makho-makho. Let it cool and open the pressure cooker pan and sprinkle fresh chopped coriander leaves . Serve with rice or Loochi /luchi of your choice . Happy Cooking . And Thanks for visiting Spice and Curry. Enjoy yourself, Jaya! we are planning a trip to Kolkata sometime this year (we planned last year too!! ), will e-mail you for foodie details, I've never been to the city. it tingles my taste bud also ...thanks for coming..
Mutton Heavy hoye kinto tokhon hi tasty hoye LOL..The more the spice ,the taste gets enhanced..LOL..
U will love the city of Joy ..
wow I just found your site! I adore curries... grew up eating them as a young girl...always wanted Indian food as my "birthday dinner"....crave it constantly! It's so neat to see a site with so many amazing dishes and recipes! I will definitely be returning and hopefully trying some out! Thanks for the great work! What did you do with the onion? I have clearly written in the intro of the recipe to grind the onion, ginger and garlic to a smooth paste! There is a miss in the recipe section about this , will correct it ...Thanks for stoping by ..
Kosha mangsho looks yummy. Your post reminded me of our Sunday mornings when we used to have luchi aloo chochori for breakfast and manghso for lunch. We tried your recipe today and it was excellent. i am glad it turned out good for you ..thanks for stoping by :). Hey, it was delicious. Really a nice recipe,thank you. why not, This is the way my parent side and my parent-in-law side makes it,unless you are talking about things /Kosha mangsho served in restaurants.If you dont like it ,then dont add it. I hope my Bengali girlfriend enjoys this. Hi, I have cooked it to surprise my Oriya boyfriend and he said it was delicious :). 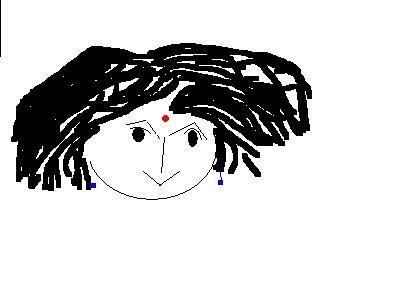 Abhishek,Hope your GF likes it:-).. Thanks a million for this! The texture, aroma was perfect. But, I don't know what I did wrong, it was really bitter. Can you please advise? Many a times when onions/garlic/ginger are not properly deep fried then that may turn out bitter in the gravy. My wild guess is - this is perhaps what happened.Although I may be wrong. Deep fry onions/ginger/garlic at least 5-6 mints at med-high flame ( never on high flame) or till they turn nice hue of reddish to deep brown. Next time you may add one tomato chopped finely when putting the mutton with all the fried masala in pressure cooker. 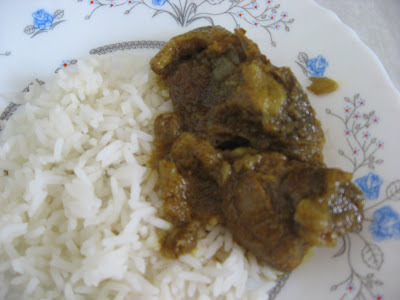 Lets say we Bengalis like to add a little bit of sugar to our mutton curry.But then That also helps. I hope this should help in your next venture..Thanks for stoping by..
That depends if you have something like stews in your mind then -reduce the amount of spices or onions/garlic and ginger in the above recipe and pressure cook the gravy with ample amount of water /chicken broth/vegetable broth whatever is readily available.. I have a similar recipe with chicken ..check in at recipe index..substitute with mutton but look out for cooking time..
Usually mutton needs more time to cook so pressure cook at high for one whistle and then lower the flame --cook further 18-20 mints with ample amount of water for a thin light gravy..
Hope it helps ..do let me know if you need anything else to know.. Followed the recipe word by word.... Thanks a lot it came out really well.... Made only one alteration, as my mom is not tolerant to milk or milk product, I put vinegar in place of yogurt while marinating. I hope it does not make much difference to the taste.... as it tastes and looks really good. 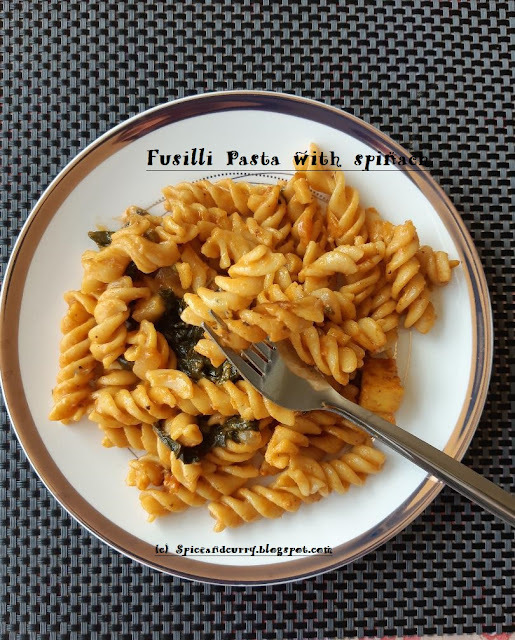 What I like most about your blog is you give quantities of each and every ingredient, which is very important for some who is trying his hands on cooking for the first time. While other websites leaves it ‘add to taste’ which is very confusing and most of the time disastrous to the recipe. Thanks SC for trying this recipe..
And no it doesnt make much difference if you use vinegar in place of yogurt but vinegar has a strong pungent smell..the end result hopefully hasnt that strong flavour..
Vinegar(acetic acid) and yogurt(lactic acid) are both acidic in nature which helps in proper marination and also reduce the activity of bacteria ..
And thank you for liking the work here.. Taste is really good. Thank you for posting such a good receipe. "Kosha" means to saute and "mangsho" means meat. According to online dictionary- saute- is " fry briefly over high heat" ..like a Chinese stir/fry for noodles.. I am sure this is not what I was referring to when I said - kosha- keep on stir/fry for 15-25 mints medium -low flame NOT on high flame which is what Saute is ...and I dont think 15-25 mints is a brief period to be precise. Mangsho to me is "Goat mutton", but mansgho is just a generic term for all other "red meat" not only "meat" which is what you wrote..
See I have never understood the urge to highlight technical details or terms ( but it's always good to know, I am not denying that).And I am not advocating myself to be a language expert.I am a everyday cook and I try to write recipes that is understandable and readable..and if liked then to be tried in kitchen..
without that black colour of the grevy kosha mangsho is incomplete. I am glad it came out nice for you ..thanks for mentioning it here..
Amazing Recipie and it was too tasty.Loved it. Tried this today. It tastes really good. I was just wondering if this could be made less greasy? Perhaps add less oil and let the mutton cook in its own fat? Hmm...yes it can be done that way .But many don't like mutton fat as such, you know, something to do with the texture or perhaps may be the smell ..some even trim off the animal fat ( like I do many times) while koshano process..it all depends how the cook wants to add and subtract :-)).. The recipe looks lovely, I plan to make it very soon. I just have one question. How much coriander powder do I use (quantity)? I didn't see it on the list of ingredients. Thanks!